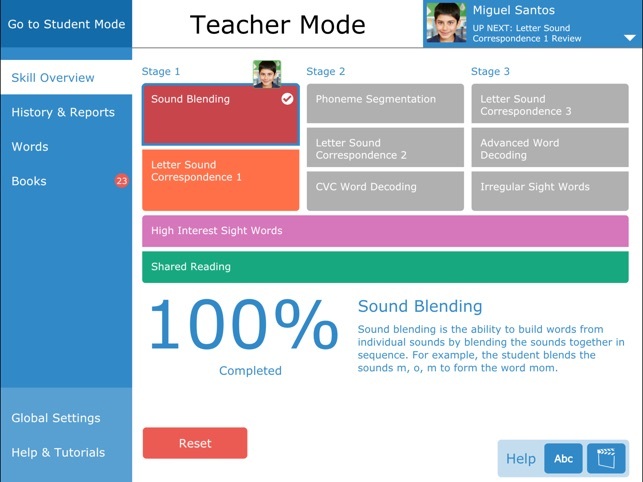 "The Accessible Literacy Learning (ALL) software is a trail-blazing reading program to help non-verbal students to learn how to read. ALL is designed to make literacy instruction easy, accessible, and engaging for children with disabilities. 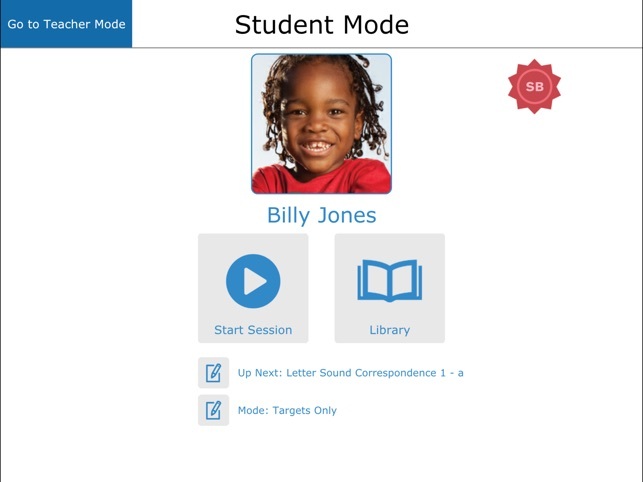 Developed by Drs Janice Light and David McNaughton of the Pennsylvania State University, the ALL Reading Program was created to meet the needs of individuals who require Augmentative and Alternative Communication (AAC). It has been proven to be successful in teaching basic reading skills to individuals with complex communication and physical access challenges including autism, cerebral palsy, Down syndrome, and developmental apraxia. 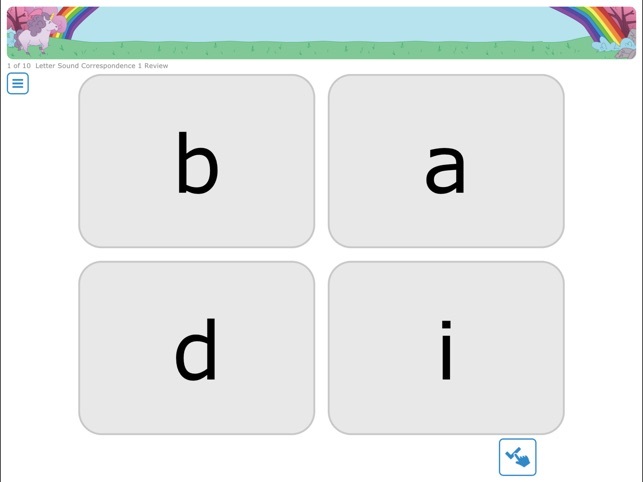 The ALL software breaks reading down into component skills and provides direct instruction in each skill. The skills include letter-sound correspondence, sound blending, phoneme segmentation, single word decoding, sight words, and shared reading. Progress towards acquiring all the skills and sub-skills is tracked and periodically reassessed to ensure the skills are retained. 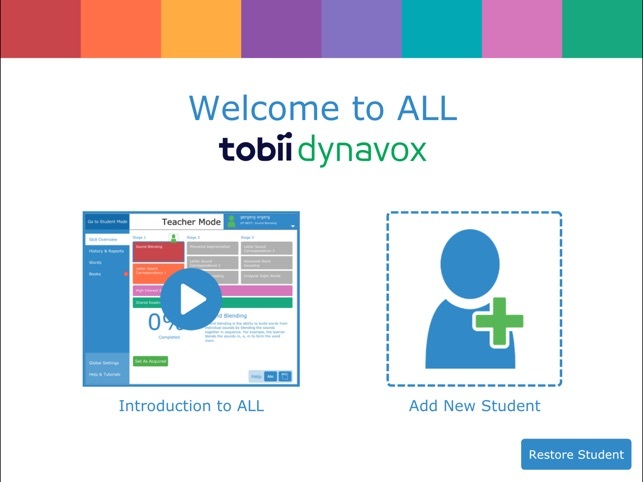 The ALL software allows you to create an unlimited number of students and work through the entire sequence of skills at the appropriate pace for each student. 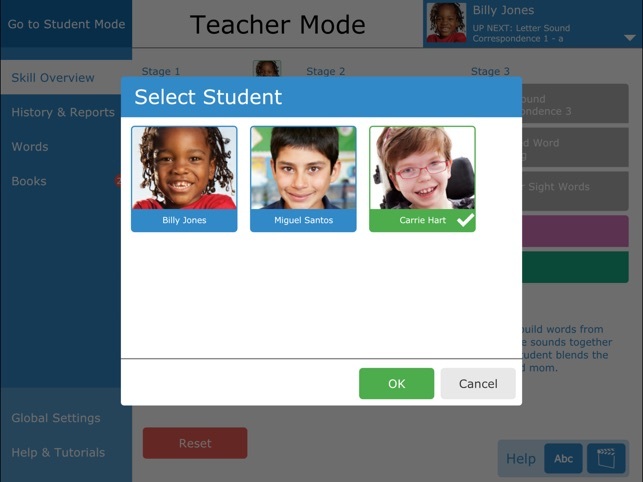 Customize instructional modes and plan lessons for small groups, one-on-one, or assign students to independently complete lessons. The options are endless and the outcomes are high. ALL is compatible with iOS for iPad (not compatible with iPad 1). Bug fixes and now available in Norwegian.